In planning for any type of home improvement project, remember that even the smallest details matter a lot. When having your kitchen remodeled, for example, the type of kitchen cabinets you pick should complement the rest of the space they are built in. Your cabinet selections, however, are just as significant as the choices you make on which hardware to accessorize them with. Even the small additions can make a huge impact on your overall kitchen design. If you have a kitchen with an all-white aesthetic, black hardware will make for great accents. The black-against-white combination is great for homes with contemporary designs that lean towards cleaner lines and a more uniform style throughout each room. Drawers underneath granite countertops can keep up the luxurious feel with brass fittings. Granite is one of the more expensive options for a kitchen countertop. As such, it is a great focal point for any kitchen. To let it shine, you can choose more understated cabinetry and fit them with brass handles and pulls to highlight them. The subtle look of brushed metal hardware can lend some balance to kitchens designed with bolder color palettes. Some modern home kitchens with rust orange or teal cabinets, for example, can avoid looking too overwhelming with hardware that is designed to look more subtle. If you’re having trouble figuring out how to best accessorize your kitchen, get professional assistance from us. 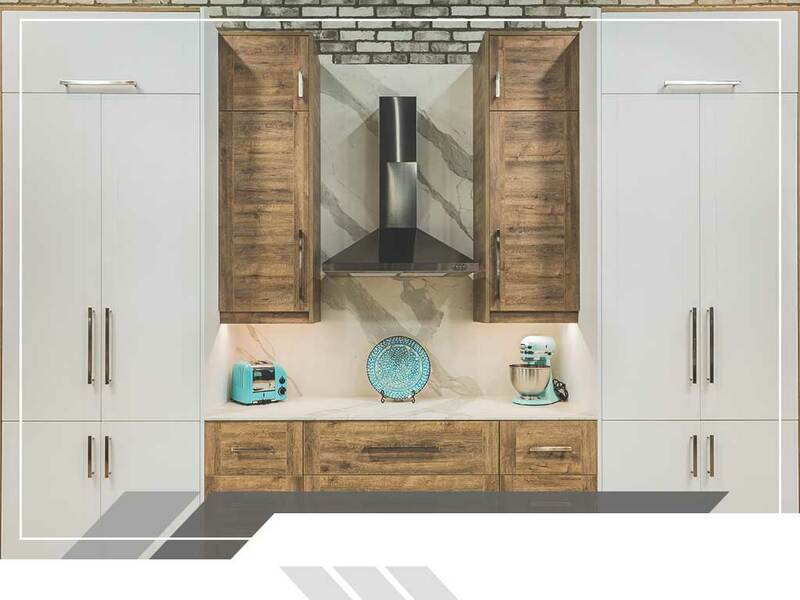 Our selection of kitchen hardware, cabinets, as well as bathroom cabinets at Harbour View Kitchen and Bath include highly rated brands on the market today. Let us help you choose the best hardware for your home kitchen. Give us a call at (757) 644-0848 so we can set a consultation date at your earliest convenience. We serve clients in Norfolk, VA, and nearby areas.